As ZSA’s Director, Legal & HR, Ryan provides leadership and guidance on a broad range of legal, risk and business growth matters. He drafts and negotiates a wide variety of commercial agreements, assists with regulatory compliance and governance efforts, and participates in setting business strategy and operational goals for ZSA. Specifically, Ryan advises the company on numerous commercial matters such as advertising, marketing, public relations, privacy, intellectual property, and employment. Ryan also maintains and enhances ZSA’s human resources by planning, implementing and evaluating employee relations and human resources policies, programs and practices. Ryan graduated with a J.D. from the Schulich School of Law at Dalhousie University and was called to the Ontario bar in 2015. 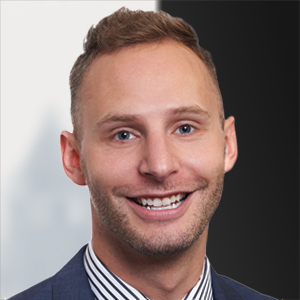 Ryan worked as a corporate associate at Bennett Jones for two years and joined ZSA after searching for the right opportunity to combine challenging legal work with his interest in employee relations and recruitment. Prior to his legal career, Ryan earned his Bachelor of Journalism (Honours) from the University of King’s College in Halifax and worked in marketing. In his spare time, Ryan enjoys reading, playing tennis, trying new restaurants and spending time with family and friends.